The rights of grandparents when it comes to their grandchildren can be confusing. Grandparents’ rights by state are not always consistent, and attempting to determine what is and isn’t permissible is not always easy. In New York state, grandparents have the right to request court-ordered visitation with their grandchildren when one or both of the children’s parents have died, if the grandparents have a substantial relationship with the children or if the parents are attempting to interfere with the grandparents efforts to have a relationship with the children. Filing for visitation rights in NY does require a bit of legwork on the part of grandparents or their attorneys. The burden of proof, or the obligation to provide sufficient evidence, falls to the grandparents seeking visitation rights. They must prove their identity and provide documentation and testimony illustrating their relationship with their grandchildren. If one or both of a child’s parents have died, the legal grounds for a grandparent’s request to have visitation rights is automatic. If one or both parents is still alive, however, a grandparent must prove that the child’s parents are purposely making it more difficult for them to establish or nurture a relationship with their grandchildren. If the grandparent has a substantial relationship with her grandchild, a judge might grant the request for visitation. In these situations, the wishes of the parent are nearly always taken into consideration by a judge. It is up to the judge to weigh the desires of the grandparents, along with documentation and testimony that speaks to the overall family dynamic before making a decision. The most important consideration in a case involving grandparent visitation is the well-being of the children. Factors like the age of the children, their wishes if they are old enough to voice a reasonable opinion, the mental health of all involved parties and the distance between the location of the proposed visits and the child’s home must all be considered. You might wonder whether a grandparent has the same rights when it comes to filing for visitation rights with an adopted grandchild. In New York, nonbiological children are treated the same as biological ones when it comes to this issue. If you are interested in obtaining custody of your grandchild, rather than just earning visitation rights, you should be aware that New York state will only grant such requests if the child’s parents severely neglect or abandon them, or if you can prove that this would be in the child’s best interests. Divorce Net: Do Grandparents Have Visitation Rights in New York? Smyth, Danielle. "Laws for Grandparents' Visitation Rights in New York State." , https://legalbeagle.com/6312287-laws-rights-new-york-state.html. 30 July 2018. 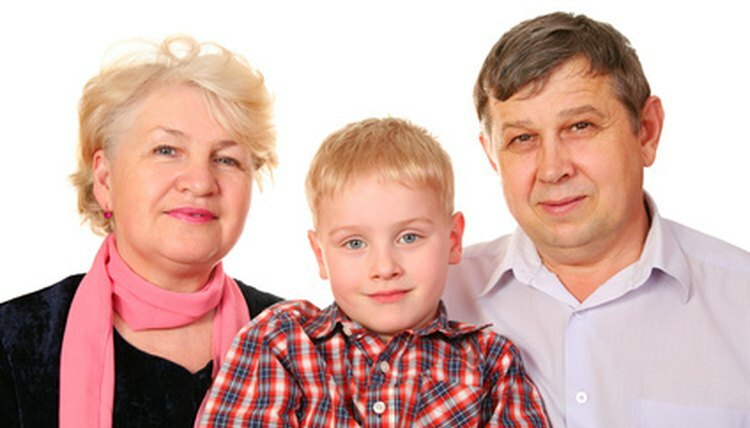 What Rights Do Grandparents Legally Have in Kansas?